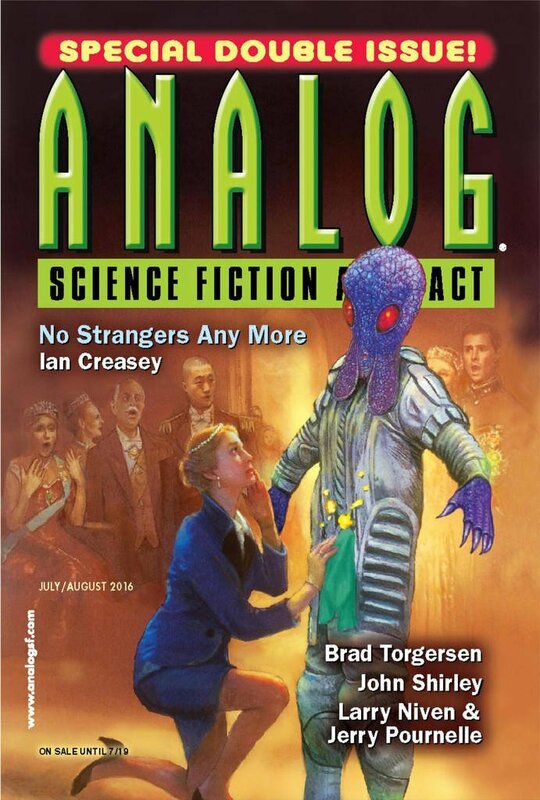 "Purytans," by Brad R. Torgersen [bio] (edited by Trevor Quachri), appeared in Analog Science Fiction and Fact issue 07-08|16, published on June 2, 2016 by Penny Publications. Pro: The basic plot is essentially about Poat's desire to reunite with Anth (aka Melissa) and how he eventually gives up everything else to do it. It examines how a post-scarcity society could end up sterile, stagnant, and ultimately unsatisfying to its citizens. Although the story doesn't give a lot of details, one can read between the lines to gather that the neuter individuals all appear to have the form of prepubescent girls, as would be the case with genetically female individuals whose ovaries were removed before puberty or genetically male individuals with androgen insensitivity syndrome. Con: The story fails to live up to the interesting conflict setting because the characters frequently act like individuals taken from our own time rather than people who have grown up in the world described. For example, Serl get hysterical when anyone uses the pronouns "he" or "she," but this is ludicrous, since the terms haven't been used in a thousand years. It's as if someone persisted in using "thee" and "thou" and someone else freaked out because "I don't know you that well." Likewise, at one point Poat observes that he's getting comfortable with "he" and "she," but the truth is that even on Earth today we have languages like Japanese that essentially lack those pronouns, and Japanese speakers who learn English mix them up all the time. Likewise, the story tells us that, on the one hand, history is forbidden, so no one knows what happened in the past, but, on the other hand, people create masterpieces of art or literature "for posterity." One cannot have it both ways. The religious angle is supposedly very important to the characters, but the story doesn't expand on it at all. From a few things, such as the description of the Temple, we might assume that it's Mormon Christianity, but it's odd that it's introduced and then nothing is done with it. Perhaps the most unsettling thing in the story is the idea that women need to feel "owned" by their men. E.g. "knowing that James owns you in a way so intimate." On the other hand, the story definitely has strong female characters, so I might be reading too much into that line. 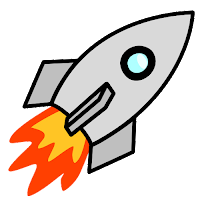 On a technical note, the description of how an escape pod moving at relativistic velocity was captured by the gravity of a star and planet is complete rubbish. Is it just me, or is this story a twisted retelling of Brave New World with an added conclusion about the meaning of life? And if it is, was that on purpose? Thematically speaking, the only real difference I can see between the two is that in Brave New World the character Linda accidentally falls in with the "primitive" natives in New Mexico, and ends up a wretched old drunk. In this story Melissa accidentally falls in with the (relatively) primitive unnamed cult, and ends up completely happy and fulfilled. In other words, in the older version Huxley leaves the question of human happiness open, and (in response to the anti-modernists) claims the answer is not to go back. In this newer version Torgersen claims to have found the answer, and the answer is to go back. I think religious themes (including Christian themes) can be used to great effect in science fiction and fantasy (e.g. L'Engle, C.S. Lewis, Dickens, etc. ), but it just isn't interesting to read stories of the form, "We could all live in a perfect utopia if we only did [fill in the blank with the author's favorite dogma]. Now let me show you how utopian that utopia can be!" And that goes no matter what the dogma is. That's to say nothing of the fact that I think in stories of this form unbelievable characters and inexplicable motives are probably inevitable. All that said, this is the first thing I have read by Torgersen, and I really liked his style. I found it very readable. I also thought he gave just the right amount of detail in the right places, so the story to me read like a piece shorter than it actually was. I, unfortunately, agree with the 2 rating because of the lackluster content. I know the author has received a lot of praise from readers, so maybe this wasn't the best example of his work. I'll have to look up some of his other stories. It would be nice to read something of his that was a little more nuanced in its philosophy. I didn't think about the connection to "Brave New World," but you might have a point. A big problem with this story is that it has a message, and it hammers you over the head with it. That gets old fast, no matter what that message is.